On Christmas day, in 1920s Berlin, most people enjoyed the bleak festivities on ersatz everything. Men wore pink and blue dickies as substitutes for shirts. Christmas cakes were made from frostbitten potatoes. Cigars may have sported Havana labels but they were made from cabbage leaves steeped in nicotine. Only those able to afford extortionate black-market prices could enjoy a traditional meal at home or dine in a fancy restaurant. Unemployment was high, strikes frequent and street violence commonplace. 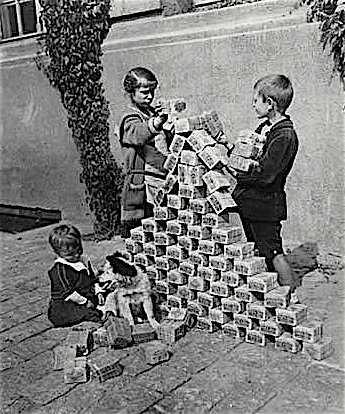 Under the terms of the 1921 Reparation Act, British and French politicians demanded that Germany pay, over 42-years, six billion marks in raw materials and industrial products. The result was economic catastrophe. In January of that year a dollar was worth 7 marks. By August, the rate was 550 marks to the dollar; by May 1923 54,300 per dollar. Six months later one dollar was worth 4.2 billion marks! Pensioners and anyone on fixed incomes became destitute, those in work were seized by a desperate madness as they raced to exchange their vast, worthless, wages for anything that might be bartered for something else. That Christmas, millions of marks were paid for shoes that didn’t fit, second-hand clothes and trashy trinkets which, only months earlier, would have cost no more than loose change. 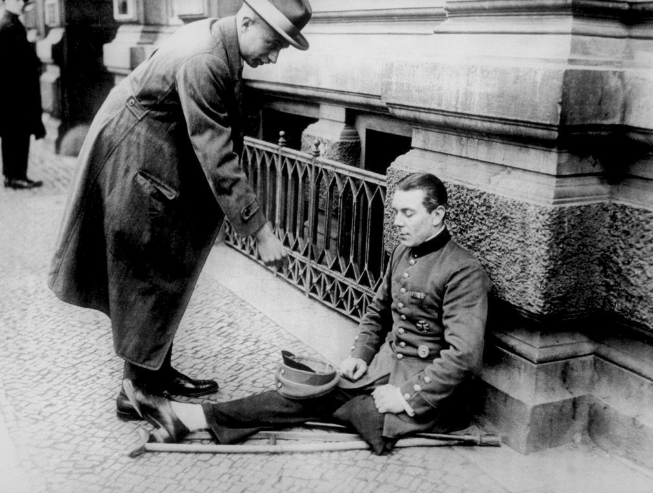 After giving a concert, the pianist Artur Schnabel had to ask a fellow musician to help him carry his fee home. Passing a delicatessen, he lightened their load by using half his earnings to purchase two sausages. By the following morning, he was unable to buy a single sausage with the other half. The inevitable consequences were growing desperation, rising inequality, widespread poverty and increasing starvation. Many middle-class families were compelled to take extreme and degrading steps simply to survive. In my next blog I will describe just what those extreme and degrading steps were. From my book Triumph of the Will?